The update for June 2016 marks one of our largest platform updates since our public launch in March and is a testament to our belief that small businesses need a champion to stand by them. 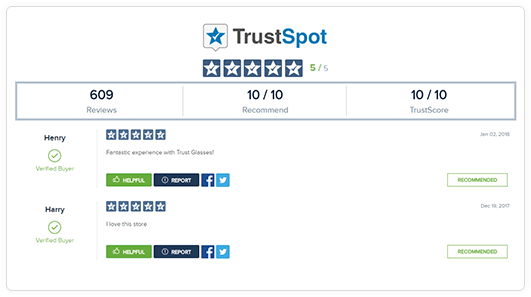 In this market especially, while our competitors are focused on price hikes, lack luster features and long waiting times for customer support .. we see TrustSpot as a fresh, and much needed alternative that businesses can depend on. Easily create coupons to share with your customers after they leave a review for your company. Coupons are automatically displayed on your review thank you page, and within thank you emails (if enabled). You can also display special coupons on your store page, if you want to offer prospective visitors a discount to save on your shop for a special promotion or holiday without leaving a review. Send a personal thank you email after a customer leaves a review for your company. 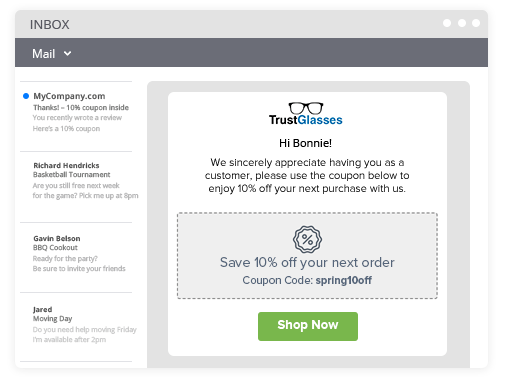 Increase repeat business by offering a coupon within the email with one-click. Once enabled, you can customize the delay to send after a review is submitted by a customer. (default is set to instant / no delay).. Automatically send up to 3 review request reminders (based on your custom delay) to help customers who haven’t written a review. This can be extremely helpful in situations where customers may accidentally delete the email, misplace it, or just simply forget. Send a friendly nudge and remind them to leave a review for your company. Once enabled, all explicit language from new reviews is automatically starred out to help promote a clean community for your visitors and customers. Now you can easily be notified whenever a customer leaves a new review. You can also set filters, such as to only be emailed when a 4 or 5 star review is left. Alternatively you can set to be notified only when a low star review is left so you can quickly follow up with a response to help your customers – showing your awesome customer service in action! Two new reports were added, a Daily Summary and a Weekly Performance Report to give you an overall idea of your progress and account activity. For more detailed insights into your reviews collection, check out our advanced analytics & insights feature for our Premium Plan. This new trust element allows you to display your reviews in a slim, horizontal format across your site. Banners come in several sizes. Lower potential visitor abandonment, by having a dedicated reviews page on your site showcasing all of your reviews. Trust Page is responsive & mobile ready – check out our live demo. 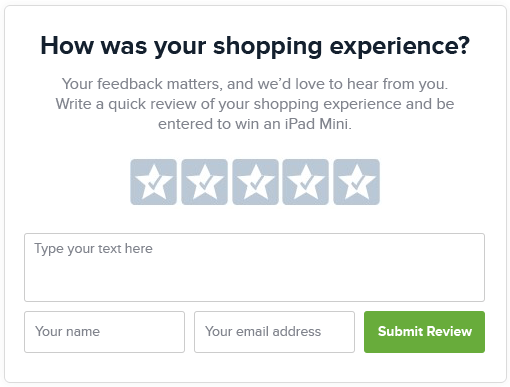 We automated this process by adding an easy to use form where you can fill in your current review site and a link to your review page. Once submitted, our team will begin the import and aim to complete within 24 hours. After the import is completed, you will receive an email confirmation.